Hi there everyone! 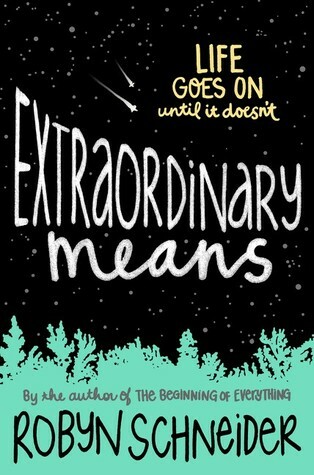 Today’s quote is a beautiful and very true one, from the beautiful Extraordinary Means by Robyn Schneider. It’s not bad that I’d like the hardback version for that cover is it? I have a paperback version (which is so lovely too)….but IT’S JUST SO PRETTY!! Have you read this beauty?